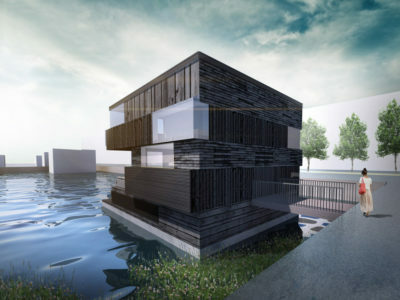 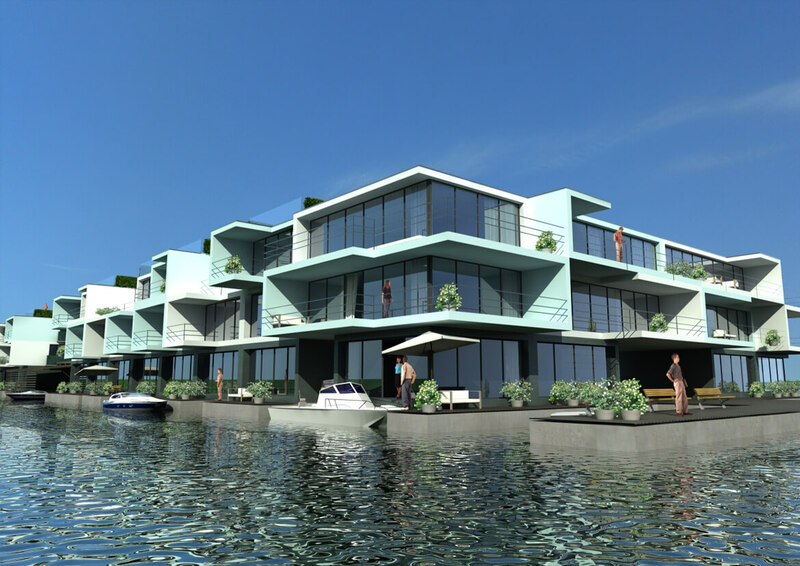 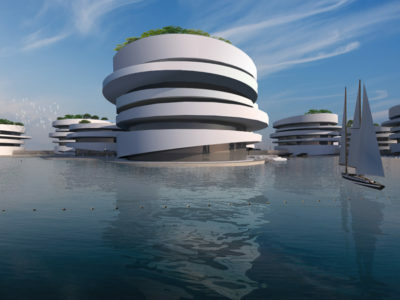 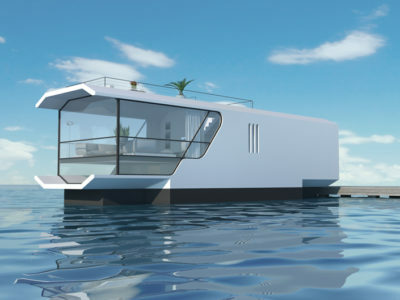 For a location in Amsterdam Waterstudio.NL designed a floating apartment complex, a floating island with villas and stilt houses. 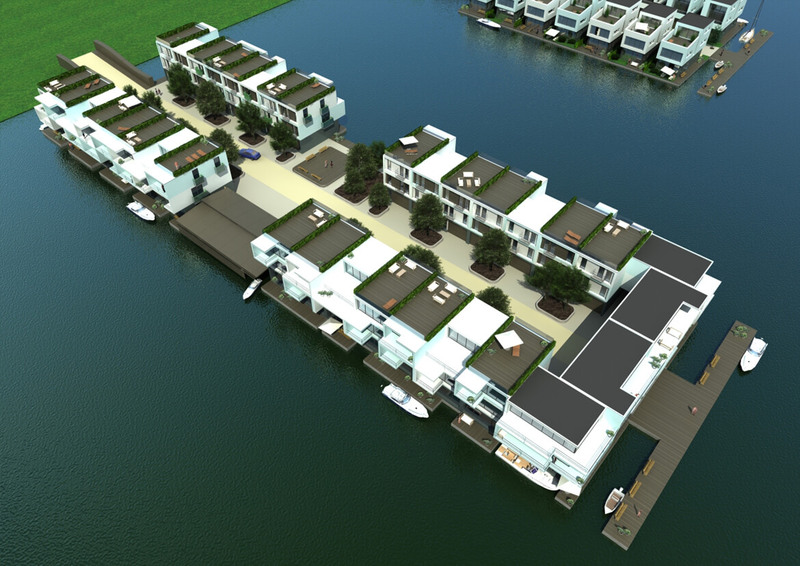 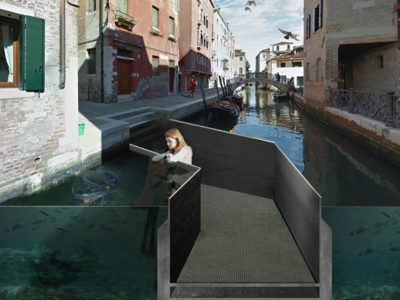 The apartment complex and island have a cosy and safe courtyard and the houses have their terraces directly at the water. 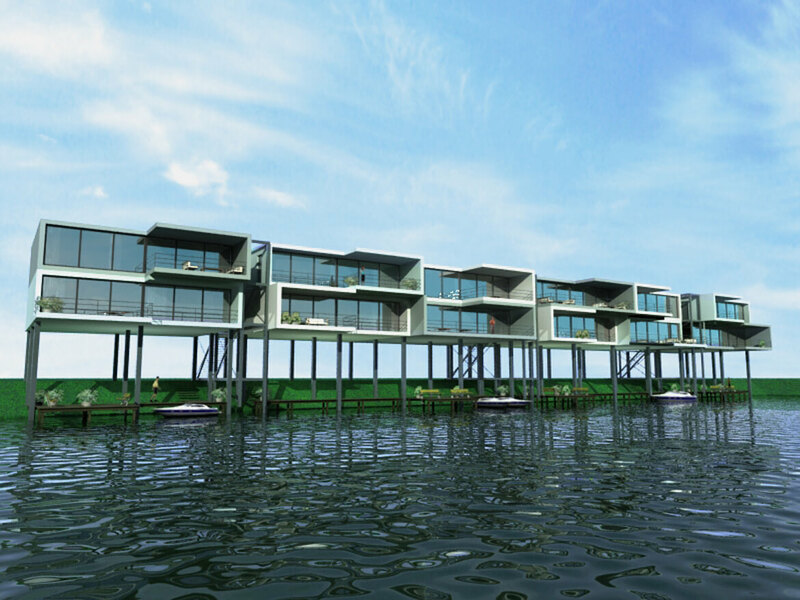 The stilt houses stand high above the ground looking out over the area and have private terraces underneath close to the water.